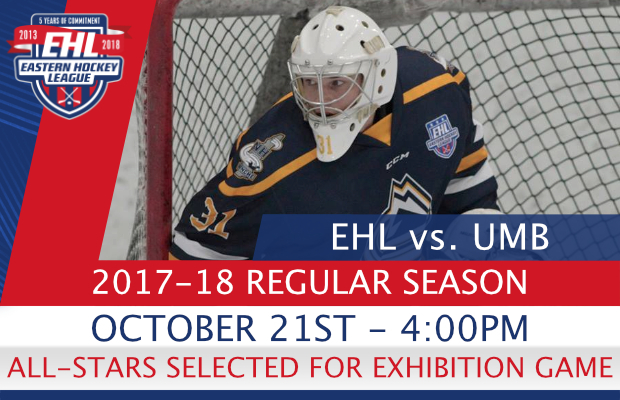 BOSTON, MA -- This afternoon a team of 20 Eastern Hockey League (EHL) all-stars will travel to the campus of Umass Boston for an exhibition game against the Beacons. The puck drop at Clark Athletic Center is scheduled for 4:00pm, and this will mark the first time that an EHL team has taken on an NCAA program. The EHL roster is comprised of at least 1 player from all 16 teams, and you can view the full roster below. "This is an excellent opportunity for our league," said Mark Kumpel, the EHL's Director of Hockey Operations. "The Beacons have always recruited strongly from the EHL, so this will give our players a great chance to see where they need to get to in order to play at the next level." 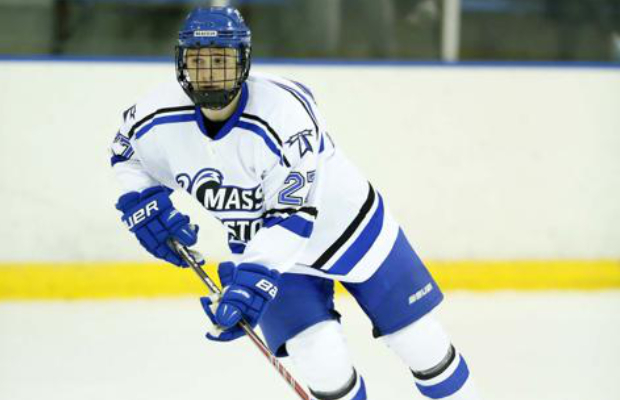 Umass Boston has developed into one of the top Division III programs in the country, in large part, after reaching their first ever Frozen Four a couple seasons ago. As Kumpel mentioned the Beacons have always recruited players from the EHL, and deservedly so, they were featured as an EHL Pipeline of the Week a couple months ago.